Did Alabama Attorney Chace Swatek Fit the Standard Profile of a "Huffer"? Chace Swatek was a 35-year-old lawyer, from a wealthy Alabama family with strong ties to the Republican Party, and he had a penchant for driving Mercedes vehicles. That does not fit the profile of someone who would die from inhalant abuse, known as "huffing" in street lingo. But our research indicates that the profile for huffers has begun to change over the past four or five years, particularly since 2010. And that might explain why, according to a source, investigators at the scene saw evidence that Swatek died in February from the effects of huffing. The majority of journal articles and news reports we've seen about huffing say those who practice inhalant abuse tend to fall into two groups--adolescents (ages 12 to 17), from mostly white, middle-class families; and adults living in poverty. Inhalant, use disproportionately afflicts subpopulations including the poor, mentally ill, and juvenile- and criminal-justice involved. . . .
Low monetary cost and ease of access probably contribute to the concentration of inhalant use among younger children and adolescents; low-income and unemployed adults; people living in isolated rural or reservation settings; and people housed in institutions such as psychiatric hospitals, prisons, and residential treatment centers. Inhalants can also be purchased and used without arousing the suspicion of parents, sales-people, school or law enforcement professionals, social service workers, or health care providers. Few people, for example, think of butane cigarette lighters, computer air dusters, nail polish, nail polish remover, or paint thinner as items that can be abused for their psychoactive effects; if challenged, young people can often offer plausible benign explanations for having these items. Inhalant intoxication produces a syndrome similar to alcohol intoxication, consisting of dizziness, incoordination, slurred speech, euphoria, lethargy, slowed reflexes, slowed thinking and movement, tremor, blurred vision, stupor or coma, generalized muscle weakness, and involuntary eye movement. Inhalant use can result in chemical and thermal burns, withdrawal symptoms, persistent mental illness, and catastrophic medical emergencies such as ventricular arrhythmias leading to “sudden sniffing death.” Inhalant intoxication also increases the risk for fatal injuries from motor vehicle or other accidents. Studies of adults in substance abuse treatment and in the general population indicate that inhalant users have higher rates of major depression, suicidal ideation and attempts, anxiety disorders, and other substance use disorders than nonusers of inhalants. [Two studies] documented dramatically elevated rates of mood and anxiety disorders, personality disorders, and substance use disorders in a nationally representative sample of U.S. inhalant users. 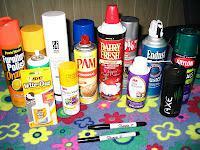 Inhalant use and inhalant use disorders also appear to raise the odds for stressful life events such as having troubles at school or with a boss or co-worker, being fired, or being arrested or sent to jail. Although inhalant abuse is common and associated with harmful outcomes that may rival or exceed those of other psychoactive drugs, inhalants remain the least-studied class of psychoactive agents. There are no clearly effective treatment interventions reported in the clinical research literature. Chace Swatek's body was found behind a stack of metal pipes, across from a Shell station near the intersection of Shelby County 35 and 52 in Pelham. Authorities say Swatek was on the return portion of a two-mile, round-trip walk to a CVS Pharmacy when he apparently collapsed behind the pipes. A CVS bag containing a receipt and several items was found near the body. Officials have declined to identify the items in the bag because the case remains under investigation. Where does Swatek's death fit into the huffing scenario? That's hard to say with certainty. Law-enforcement officials have told us that they do not expect to receive a toxicology report on the Swatek case for perhaps a year or more. Based on my experience with officials here in Shelby County, I would say that a cause of death in the Chace Swatek case never will be willingly released. And even if legal action is taken that might force the release of such information, any document is likely to be incomplete or even altered. Sources have told us that Swatek frequently practiced in Pelham Municipal Court, which is headed by Judge John McBrayer, a Swatek family friend. Would McBrayer be capable of ordering a coverup on the actual cause of death in the Chace Swatek case? The answer appears to be yes. In my view, the most reliable information we have is a report from a source that evidence at the scene points to huffing as the cause of death. How can that be if Chace Swatek did not fit the profile of a huffer? Well, our research indicates the huffing profile has evolved. A relatively new product can produce an intense high that appears to have drawn more adults from the middle class and above. We will take a look, in an upcoming post, at what appears to be the latest trend in huffing.